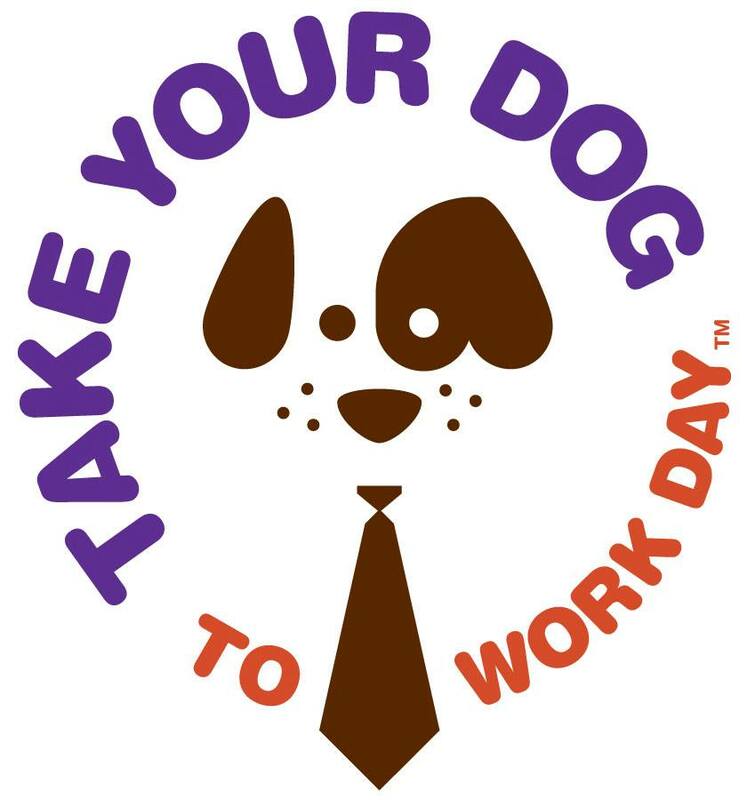 Created in 1999 by Pet Sitters International (PSI), Take Your Dog To Work Day (TYDTWDay) is an annual event set for the first Friday after Fathers Day. Why Take Your Dog to Work? Research supports the notion that employees that take their dog to work have both lower absenteeism and stress levels, while demonstrating higher levels of productivity. Research from Central Michigan University indicates that the presence of a dog in the room makes co-workers more cooperative. Before taking your dog to work there is some planning that will need to be accomplished. The first thing to do is to make sure your co-workers are comfortable with having a dog in their proximity. Be considerate of allergies, fears, and those who are just opposed to dogs in the work place. Once you have determined your co-workers are okay with you bringing in your dog, get your dog ready for their visit by getting them a bath and a good grooming. Next put together your “go-to-work” kit. This kit should include treats (plan on treats that you can give to your co-workers to give to your dog), food, a water bowl, leash, clean up bags (for when you take your dog for a walk), a couple of toys, a clean up kit in case there is an accident, and a kennel, bedding, or a gate if you will need to leave them for an extended period. The next step is to dog proof your workspace. Make sure that there are not wires or cords that your dog can get tangled in and either get hurt or cause a problem. Move everything your dog might chew on away from their access. Consider what plants might be toxic and remove them for the day. Make sure vaccines are up to date and that your dog is healthy to protect co-workers and other dogs. Reconsider taking your dog if they are aggressive or overly shy. The stress of a new environment may end in unwanted results. Have a plan to take your dog home in the event that they are unable to cope with the stress of the environment. Before taking the dog inside make sure they have some good exercise and a chance to relieve himself/herself. Arrive a little early and give them a walk through the office so they can smell and investigate the environment. Never push your dog on anyone. The people who love dogs will seek out you and your dog. Help visitors to understand how to best approach a dog. Let them know not to reach over their head, to move slowly, and to approach from the side to prevent startling. Also help educate about snacks and treats. Make sure to monitor your dogs treat intake to avoid their becoming sick. Finally take pictures and post to @dogsatwork. | #TakeYourDogToWorkDay!